In its June 2015 preliminary report the Debt Truth Committee demonstrated that the largest part of Greece’s post-2009 debt was in fact private debt converted into sovereign debt. The same countries and institutions that converted private into public debt later entered into a series of loan agreements and Memoranda of Understanding (MoU) from 2010 onwards, the bulk of which was used to repay the aforementioned debt and the ensuing interest, while at the same time imposing upon the Greek population conditions of extreme austerity. The Debt Truth Committee found that the debt is odious, illegal and illegitimate and wholly unsustainable. Such characterisations were consistent with pertinent definitions adopted by specialized UN bodies. 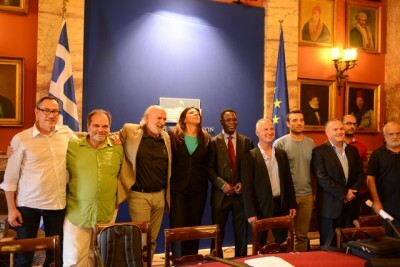 Moreover, in line with other international human rights bodies, the Debt Truth Committee held that the conditions imposed upon Greece violated not only its Constitution but also its international treaty and customary obligations. The referendum of 5 July 2015 requested the Greek people to decide whether or not to accept two sets of proposals put forward by the EU Commission, the International Monetary Fund (IMF) and the European Central Bank (ECB). The proposals were set out in two distinct documents. The first was titled “Reforms for the Completion of the Current Program and Beyond”, while the second was titled “Preliminary Debt Sustainability Analysis”. The effect of both documents (would-be-agreements) was the provision of liquidity, chiefly for debt-repayment in exchange for severe fiscal and social conditionalities. It was because of these severe conditionalities and their detrimental impact on society and the country’s fiscal independence that the Prime Minister called for a referendum. The outcome of the referendum was an overwhelming NO vote (61.3%) against the contents of the two documents. The Prime Minister and the ruling SYRIZA parties had championed the NO vote, this being consistent with SYRIZA’s pre-election manifestos. However, in the aftermath of the referendum and despite its outcome, the Prime Minister adopted the Third MoU and loan agreements, the contents of which are of equal or great social and fiscal impact as compared to the preceding ones. See the Annex titled “Significant Differences between the Text Rejected by the July 2015 Referendum and the July 9th Accepted by the Greek Government. On 19 August 2015 the Greek government signed the aforementioned MoU with the EU Commission and the ESM, followed by a Financial Assistance Facility Agreement [loan agreement] a little later. The agreements envisaged the disbursement of 86 billion Euros to Greece, of which more than 25 billion was earmarked for the re-capitalisation of Greek private banks. Principle 4 of the 2015 UN General Assembly resolution outlining several customary principles on sovereign debt restructuring, which is discussed below, requires that all actors involved refrain from exercising any undue influence in the process. It is clear that no part of the negotiations were concluded in good faith and that undue influence was exercised from the outset against the Greek government and the Greek economy as a whole. Undue influence was also imposed against the Greek people in the run up to the January 2015 elections and up until the referendum. |1| It should be stated that the rejection by the Greek government and its creditors of the overwhelming referendum result constitutes undue influence in the people’s constitutional prerogative to choose their financial future and is itself illegitimate and contrary to the rule of law (principle 7). On 27th June, the Greek Prime Minister, Alexis Tsipras, announces a referendum concerning the creditors’ ’unbearable’ austerity demands. In a speech on national television after a late night cabinet meeting on Friday, Alexis Tsipras said that the Greek people would vote on 5 July whether to accept conditions imposed by Greece’s three main creditors, the European Union, the European Central Bank and the International Monetary fund, known collectively as the Troika. On 29th June Benoît Cœuré, Member of the Executive Board of ECB, told the French financial daily Les Echos that “an exit from the euro zone, so far a theoretical issue, can unfortunately not be excluded any more“, adding that this was the consequence of Athens’ decision to end the talks. Benoît Cœuré said that if Greeks vote ”Yes“ in the referendum for the aid package, he had ”no doubt“ euro zone authorities will find ways to meet commitments towards Greece. Alternatively, he pointed out, if the ”No“ vote wins, ”it would be very difficult to resume political dialogue”, he said. |2| During this time the ECB refused any liquidity assistance to Greece for an entire week. The stance of the ECB and its financial coercion of Greece and its people was not only direct but wholly unveiled and extremely hostile. During this time EU officials and government officials, such as Wolfgang Schauble, made the point that Greece will be led to a humanitarian crisis with tanks being rolled on the streets should the electorate choose to vote No in the referendum, thus intimating that Greece was destined to a complete breakdown. |5| The decision of the ECB to limit the provision of additional liquidity to the Greek banking system, which effectively brought about the imposition of capital controls, contravened its mandate and core responsibilities. Given that the ECB had deemed Greek banks solvent in the stress tests conducted in 2014 it was under an obligation to provide Emergency Liquidity Assistance (ELA) in order to stem the bank run as long as these banks could post collateral in line with its regulations. At the moment the ECB capped the ELA it is estimated that Greek banks could have accessed up to an additional 28 billion euros in emergency funding. |6| The ECB clearly breached its obligations under the EU treaties. Firstly, the disruption imposed upon the payments system of Greece is in clear violation of its obligation to ensure the smooth operation of said system as prescribed in Article 127 of the EU Treaty. Secondly, the ECB has the mandate to “support the general economic policies in the Union with a view to contributing to the achievement of the objectives of the Union”. One of those economic policies is the “imperative to break the vicious circle between banks and sovereigns”. |7| By forcing the closure of the banks and pushing the country close to a de facto and illegal exit from the Euro, the ECB created a situation in which the Greek state and its banks became even more intertwined. It is also telling that following the referendum, in the crucial discussion before the UN General Assembly concerning a resolution on sovereign debt restructuring, which is discussed below, Greece abstained from voting. Such a political stance is inconceivable given that the substance of the resolution was of the utmost national importance for an indebted country such as Greece (and the terms of the resolution were favorable). Despite the EU common position on this matter, |9| there is a clear conflict of interest between Greece and other EU states, given that Greece is a debtor and its other partners are creditors. The EU common position effectively demanded that member states vote against the resolution, or that at the very least cast a vote of abstention, which has the same legal effect. Hence, Greece’s position on this matter can only be the result of pressure from its creditors as its abstention is wholly against national interests. The third MoU that accompanies the August 2015 loan agreement, just like the previous ones in 2010 and 2012, transfers the weight of structural adjustment to Greek society. As a result, the third MoU will increase poverty, class polarization and social exclusion. It is telling that while creditor demands envisage to broaden the tax base, tackle tax avoidance, etc, at the same time they seek to eliminate a 26% withholding tax on cross border transactions. This was set to come into operation on 1 September 2015 with the aim of halting a very common source of tax avoidance, under the guise that this would enhance the free movement of capital. – Reduces pensions in line with the measures implemented through the anti-pension reforms of 2010 and 2012 under the promise to save around 0.25% of GDP in 2015 and 1% of GDP by 2016. The package, inter alia, creates strong disincentives for increasing early retirement penalties; raises health-related contributions of pensioners to 6%; integrates all supplementary pensions funds which henceforth will be financed exclusively by personal contributions by 1 January 2015; freezes monthly guaranteed contribution pension limits in nominal terms until 2021; establishes a closer link between contributions and benefits; phases out the solidarity grant (EKAS) for all pensioners by end-December 2019, starting with the top 20% of beneficiaries in March 2016. – Increases taxation on farmers. The squeeze on farmers’ income will be derived in the following forms: Firstly, with the gradual abolition of excise tax refund on diesel oil in two equal steps in October 2015 and October 2016. Secondly, through the increase of direct taxation and, thirdly, by means of increasing social security contributions. – Phases out progressively, by 31 December 2016, VAT discounts currently available to businesses on the Aegean islands. The first round of abolition will be announced by a joint ministerial decision by 1.10.2015. The aim of the exemption was to decrease consumer prices in distant and not easily reachable islands and hence to achieve regional coherence. – Eases attachment and garnishment processes in favor of tax authorities and banks. This is to be achieved through the elimination of the existing 25% ceiling for the attachment/seizure of wages and pensions and by lowering all thresholds of 1.500 euros. This measure will trigger a new wave of seizures on wages, pensions and deposits. – Increases the advance corporate income tax not only for large enterprises, but even for the self-employed up to 75% for incomes in 2015 and 100% for 2016 incomes, thus further reducing available income. – Imposes a new round of market liberalization under the instructions of the OECD’s so-called toolkit. The only beneficiaries from the opening of the (now) restricted professions of notaries, actuaries and bailiffs will be banks, law firms and big employers. There will be negative impacts upon working class rights, including the revision of the framework of collective bargaining and wage setting, industrial action and collective dismissals. The further flexibility of labor relations (as the experience of the previous years has shown) will culminate in even lower wages and increase in unemployment, precariousness, undeclared work and non-taxable profits. – the Third MoU and August 2015 loan agreement is illegal, illegitimate and odious because it fails to recognize the illegal, illegitimate and odious character of Greece’s existing debt, as well as the odious, illegal and illegitimate nature of the instruments by which this debt was financed from 2009 until early 2015. – the Third MoU and August 2015 loan agreement violates the fundamental human rights of the Greek people (both civil and political as well as socio-economic rights) as these are set out in the Greek Constitution and international law (treaty-based and customary). |6| Barclays Research (2015). Greece’s Achilles’ Heel. |7| Council of the EU (2012), Euro Area Summit Statement of 29 June 2012. |9| EU Common Position on the UN Draft Resolution A/69/L.84, Doc 11705/15 (7 September 2015). |10| UN Doc A/69/L.84 (29 July 2015). |11| UN Guiding Principles on Foreign Debt and Human Rights, UN Doc A/HRC/20/23 (10 April 2011), paras 73-75. |13| Equally endorsed in the UN Guiding Principles, paras 48 and 65. |14| Euro Summit Statement, 12 July 2015, at 6.